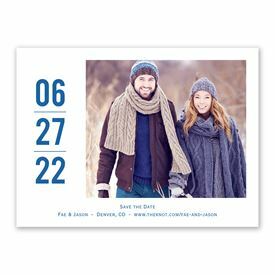 Your wedding date big and bold next to your choice of photo, and the Vertical Date Save the Date becomes a custom creation your friends and family will be proud to keep and display. Personalization Options: The lines between the dates are available in your choice of color. 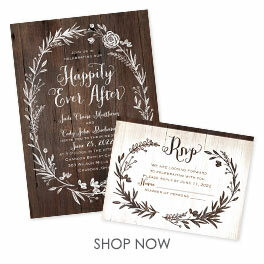 Your choice of photo and your wording is printed in your choice of colors and fonts.